Hi everyone! 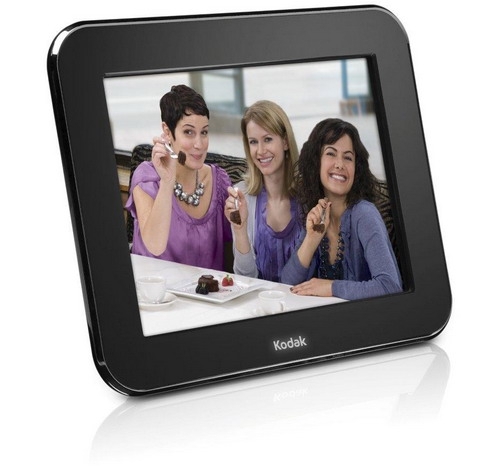 I'm looking for opinions on digital picture frames - it seems like it's hard to find frames with decent sync technology built in, especially since FrameChannel went belly-up. I'm looking for a photo frame, probably in the 10 inch range, that I can push pictures to. Maybe that's via an RSS feed, maybe that's via email, or a Web service. The point is I need the ability to put pictures on the frame remotely without any local interaction. Yes, you guessed it, this is for both set of grandparents and I want to be able to add photos to the frame remotely so they'll just show up. I've spent a few minutes researching potential photo frames, but what I've found has shocked me: it's a virtual wasteland of cancelled products and failed companies. Many of the picture frames I was familiar with a few years ago no longer exist. I'm looking for suggestions - though in searching for an image for this post, I came across the Kodak Pulse and it looks like it might do the trick. It can't pull down photos from RSS feeds, but I can email photos to a special email address and they'll appear on the frame - so that's the next best thing.